This Halloween, would you like to embody a spellbinding sorceress from head to toe? Would you like magic to ooze from your enchanting aura? Are you interested in beguiling a whole room of people with just one quick glance? 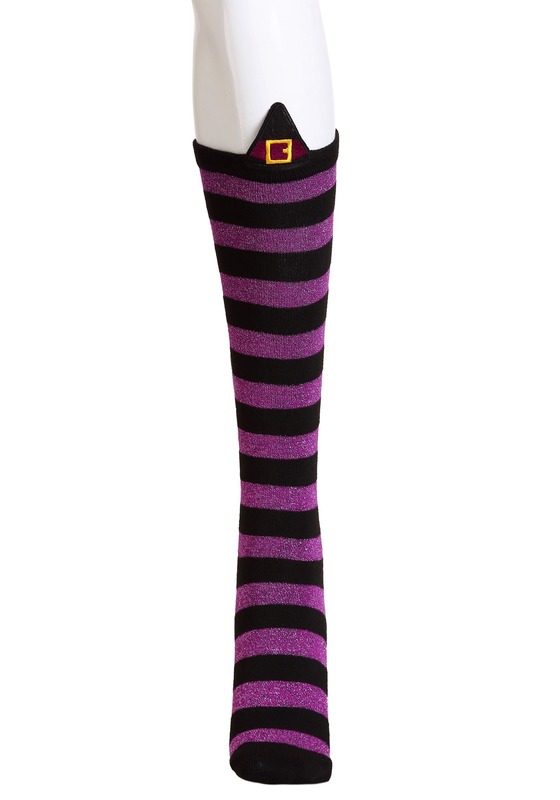 If so, then the women's novelty witch knee high socks need to belong in your drawer ASAP. No need to consult your crystal ball, take it from us— these comfy stockings have the power to make you feel like a complete and accomplished spellcaster. Who knows, elevating you to the status of 'supreme' isn't outside the realm of possibilities. Don't be surprised if every coven member starts wearing them! Made from a blend of polyester and spandex, these socks are stretchy and extremely comfortable so they're able to fit most feet. 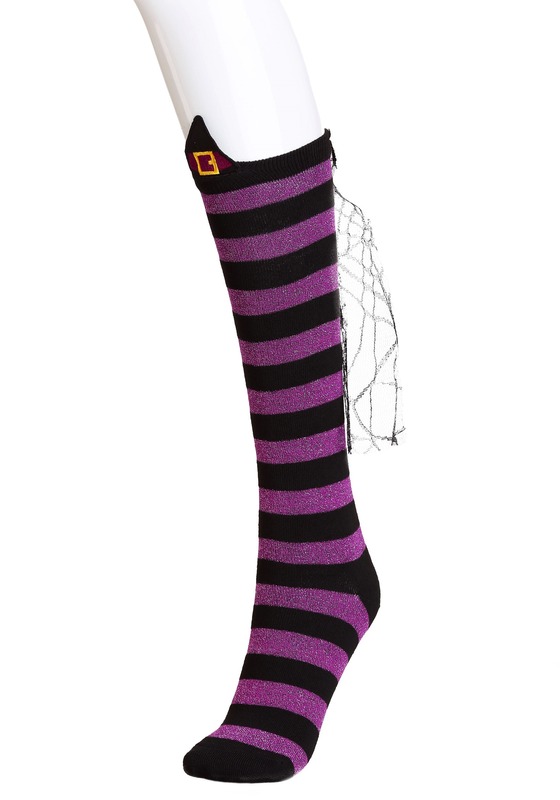 Extending up to the knee, alternating purple and black stripes are featured throughout. The purple fabric has flecks of metallic thread throughout while a black hat and spiderweb cape is attached to the back. 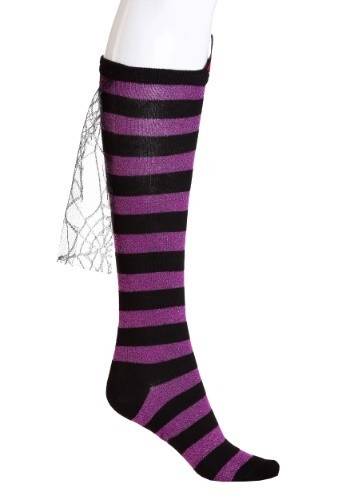 Now you need a witchy upper half to match your witchy lower half, AKA your feet! Don't forget to pick up a pointy hat, spider earrings and gothic necklace to offset your socks!